When i’m travelling in Chicken Invaders Universe Early Access there is a button called Overview that isn’t available now. 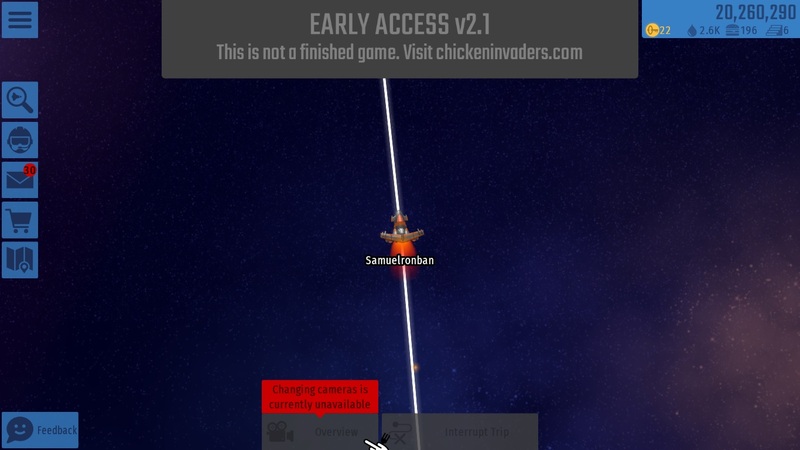 It’s because I need to buy something or because of the Early Access game? What will that button do when it is available? It should be avaliable for long travels, like going to a new star systems. When I do interstellar travel is also not available. It becomes disabled at the very start and very end of each travel. For short travels, it will never enable. Perhaps your destination star system was very close? Create a thread of your own. There’s no another galaxy. This galaxy is not even finished. There are huge places where there are no star systems, i dont think that we can travell and give so much fuel to go to the nearest star traveling through this void… I hope that in the future, the void will be a bit more full.